This analysis is intended to address a number of concerns that have been raised regarding China’s new Administrative Regulations for Online Publishing Services (“Online Publishing Regulations”) and how the new measures may affect the ability of foreign companies to distribute digital media into China. For background, I would suggest either the Wall Street Journal’s piece (here) or the New York Times’ (here). Does this regulation prohibit all foreign media in China? The regulation prohibits foreign companies from providing “online publishing services” through either a wholly foreign-owned company or a joint venture in China. 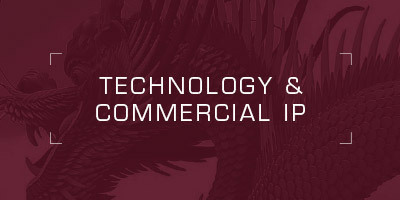 But the regulation also permits a foreign company, organization or individual (including foreign-invested enterprises in China) to cooperate on a project-by-project basis with a purely Chinese company, subject to the initial approval of the State Administration of Press, Publication, Radio, Film and Television (SARFT). The regulation does not state what type of “project cooperation” is permitted nor how it will be assessed. Once a project has been approved, SARFT can avoid having to turn to a foreign company with subsequent censorship requests since the content will ultimately be distributed by the Chinese partner. The framework permits SARFT to exercise initial oversight over any content sharing arrangement entered into with a foreign party. Once a project has been approved, SARFT can avoid having to turn to a foreign company with subsequent censorship requests since the content will ultimately be distributed by the Chinese partner. This type of cooperation has some precedent in China in a number of fields, making it seem likely that the regulation is intended to update previous measures to codify existing practices and cover new forms of online content. What exactly is covered by “online publications”? Some Western news reports have assumed the new regulation potentially applies to all types of foreign “media.” – a term that, in English can refer variably to news organizations (“the media”) or any form of broadcast or published content (e.g., “digital media”), including music, films, books, magazines, etc. Language in the new regulations suggest the latter, wider definition is applicable. (4) other categories of digitized works identified by the State Administration of Press, Publications, Radio, Film and Television. In other words, most forms of curated digital content. The regulation would therefore appear to apply to content aggregators like Buzzfeed or Business Insider, Netflix-like video-streaming sites or the online arm of more traditional media such as newspapers and magazines. Is this the first time China has prohibited foreign investment into this sector? In 2015, China’s National Development and Reform Commission added “online publishing services” to the “prohibited” category of the Catalogue for the Guidance of Foreign Invested Industries. Interestingly, while this addition appeared in the official Chinese version of the catalogue, it did not appear in an English-language translation later published on the Ministry of Commerce website. Previously, Article 39 of the Regulation on the Administration of Publication (2011 Revision)permitted foreign-invested enterprises to engage in “online publishing.” These provisions are still in effect, but because they fall under the aforementioned Foreign Investment Catalogue in China’s legal hierarchy, Article 39 appears to have now been superseded. Do these rules mean that foreign media companies with overseas servers will no longer be allowed to serve their content into China? The scope of the regulations is defined in Article 2 to cover “online publishing services [carried out] within the borders of the People’s Republic of China”. Article 2 must also be read in conjunction with Articles 8 and 12, each of which require an online publisher to locate their servers within China. These provisions give rise to some ambiguity. Is SARFT saying that Chinese internet users will only have access to digital media published by SARFT-approved wholly Chinese-owned entities? Or are they simply saying that any content-provider physically located in China must be licensed with SARFT- thereby implicitly allowing inbound foreign content as before? While a number of major Western media sites are currently blocked in China, there are still many that provide content to Chinese Internet users through overseas servers, including, at the time of writing, the BBC and Vimeo. Will these and other foreign content providers be blocked in a month’s time and required to partner with a local company? What about companies like Amazon or Apple who have content distribution platforms – and payment arrangements – already in place on the mainland? These questions represent some of the biggest concerns raised by foreign observers. They are currently in need of clarification from Chinese authorities. What is China’s current stance on foreign content? Historically, China has allowed its citizens to connect to the global Internet subject to the use of a firewall to block content viewed as illegal or potentially harmful to the state. Generally such blocked content encompassed either news sites critical of the regime, or social-networking sites such as Facebook or Twitter, which provide a platform for user-generated content. Although Western news organizations maintain offices in China, typically their content is hosted on overseas servers, which may or may not be accessible from within China depending on the firewall. Some Western TV shows such as House of Cards or the Big Bang Theory have also been licensed to Chinese streaming video sites; but even these have occasionally run afoul of government censors and been removed for short periods of time. Government scrutiny and censorship of foreign content has increased in recent years following rising concerns over “hostile foreign forces,” and the investigative reporting of major American newspapers into the family wealth holdings of China’s top officials. The Party has also recently increased its efforts to control internal discourse in the country, exemplified most recently by the high-profile visit of President Xi Jinping to the offices of State-run broadcaster CCTV. So is it all bad news for foreign companies then? As it’s currently unclear whether this regulation will affect content delivered from overseas, it’s possible that it does not significantly alter the current state-of-play. Foreign companies may also take some comfort in the explicit permission they now have to offer digital content through a locally licensed firm. Indeed, this type of content sharing has long been the reality for many foreign companies in China. Now this mechanism has been formalized into a more concrete legal provision, and applicable to a much wider variety of digital media. All this will be welcome news for a variety of foreign media companies, such as Netflix, who may now have a clearer legal path for market entry provided they find the right domestic partner. Of course, few foreign companies will want to be forced into such tie-ups, but under the circumstances it may be the best way to gain access to what is now the world’s largest online market.